Who approves lumber grading rules? Who writes lumber grading rules? Who can provide inspection services for lumber? There are additional agencies accredited to provide heat treatment service only. Inspection agencies must become accredited to inspect lumber under all of the lumber grading rules for species for which they intend to provide services. The National Grading Rule Committee has written the National Grading Rule which specifies characteristics permitted in certain grades of visually graded lumber, such as Select Structural, #1, #2, and #3. 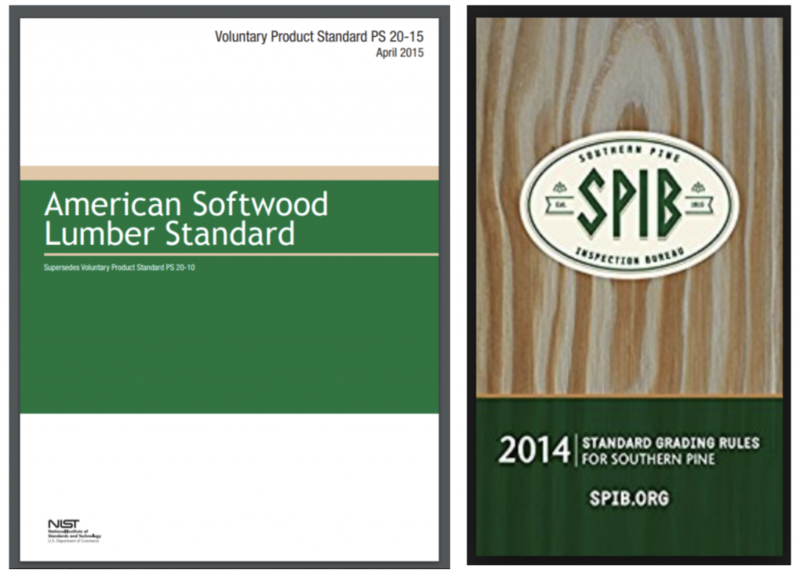 These rules and characteristics are required to be the same across all species of lumber. The original intent was so that a #2 2×4 would have similar characteristics, regardless of the species. In reality, a #2 2×4 does not have the same appearance across species, because different tree species grow differently. For example, spruce trees tend to have smaller knots than certain pine species. So while the species have the same size maximum permitted knot, you may or may not see maximum sized knots in a particular species of lumber. For lumber produced outside of the National Grading Rule (other sizes and/or grades of lumber), the rules for each species may vary by species.